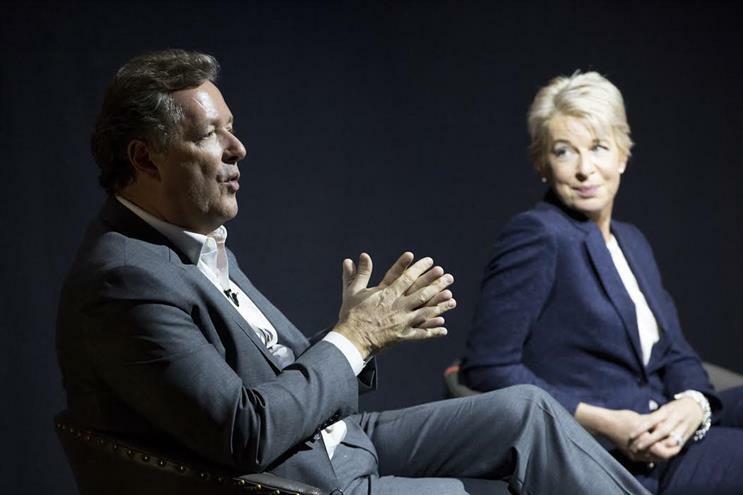 Journalist and presenter Piers Morgan has said it is vital for brands "in this era to interact with their customers" online. Speaking at today‘s Mail Brands IAB Digital Upfronts, the Mail Online columnist and Good Morning Britain TV presenter said: "I like it when a brand takes a position on things. We’ve seen an evolution of the brands, I like the brands that engage with customers online and interact with them with a bit of humours. It’s part of a brand evolution and vital in this era." Morgan, who was speaking on a panel alongside fellow Mail Online columnist, Katie Hopkins, said media buyers should also look at what they read first to decide where to place their advertising, giving a nod to the Mail Online’s 55 million global monthly unique visitors. Morgan also suggested the Mail Online creates the "meat" content that global goliaths like Google and Facebook want. He said: "The Mail is never going to be bigger than Google and Facebook but it has the raw meat content that they crave and love." Despite describing the Mail Online as everyone’s "dirty little secret", Hopkins insisted the news site did not have an image problem and was in fact "addictive", giving readers a "healthy debate". She said: "If I was just a mad woman I would be naked shouting into the rain. But I’m not; I’m just delivering my honest opinion through my column. I speak for normal people saying what they think or the opposite of what they think." Hopkins continued to display why she is one of the papers most divisive columnists calling US Presidential hopeful Donald Trump’s recent lewd comments about women as ‘fantastic’, describing how she didn’t feel sympathy or pity for Madeline McCann’s parents, considering her disappearance as their fault, and expressing how the UK’s borders are too full.